Oh, Bite Me! | All Around Dogs Oh, Bite Me! | Thoughts on training and life with dogs. Occasionally when I tell people that I train my dog in bitework (aka protection), they are taken aback. I’m teaching my dog to bite people? I call it the Bitey Game? Isn’t that exactly the opposite of what any sane dog owner would do? 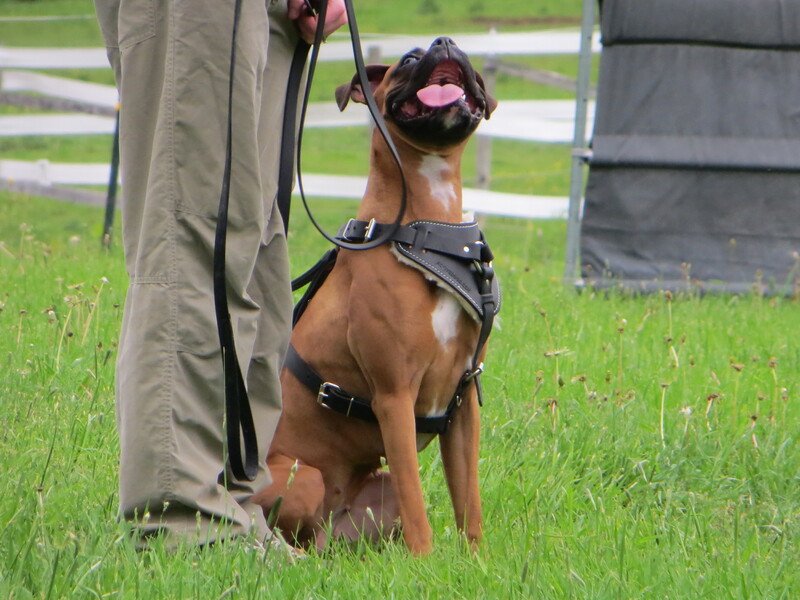 While I won’t address my sanity, I can say that training a working breed dog* to do bitework is actually a fabulous idea. For those who may not know, bitework is the set of exercises or an IPO “phase” where the dog guards and engages a helper (aka bad guy). There are different exercises at different levels of the sport, but those basic tasks are always there – know when to hold ’em, know when to bite ’em. The reason it’s a great idea is that you’re teaching the dog to know the difference. Can I bite him again? 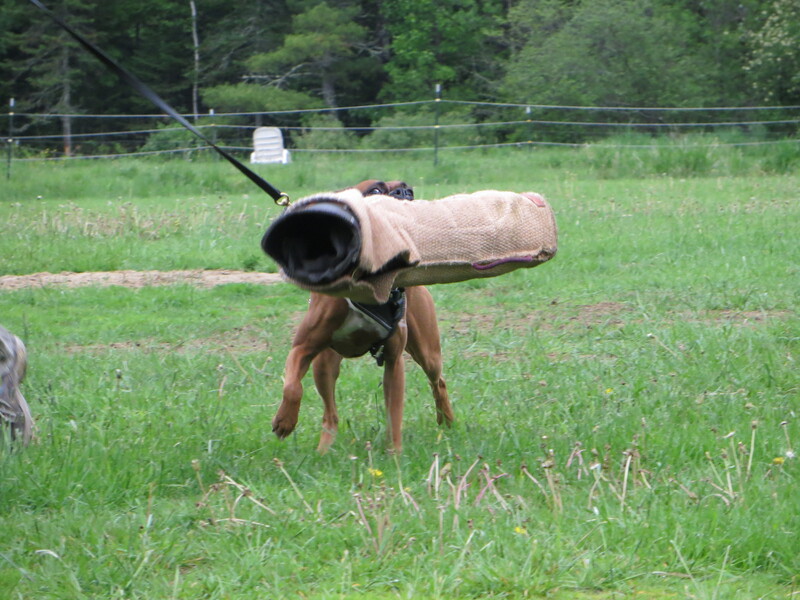 You’re teaching a working dog how to follow a strict set of rules while it is in defense drive. Showing them how to execute a full mouth bite, but with a calm, controlled grip. Telling them when to chase, when to bite, and when to let go. This isn’t teaching a dog to be aggressive – this is brilliant impulse control training. There is also something uniquely wonderful about watching a dog do its “original” job. Even though they may be generations removed from doing the work, you can see the dog light up when it is given the chance to engage with its instincts. Yes, the sleeve is bigger than I am. So what? I’m so thankful that I found this sport and this outlet for Delta. I love watching my little “pocket rocket” work, and she enjoys working. While she also enjoys the obedience and tracking phases of IPO, it has to be said – Baby loves to bite! *I am only referring temperamentally sound dogs.